James Pringle, Jr. (October 3th 1958) is an American athlete and an inductee of the University of Florida Gator Great Hall of Fame(1992) and the North Florida Athletic Hall of Fame (1980)and the South Jersey Track Coaches Association Hall Of Fame (2013). He competed on the international stage and earned national titles in track and field for his specialty, the high jump (HJ). As a freshman at the University of Florida, he placed 3rd in the HJ at the Southeastern Conference (SEC). In the following years of his collegiate career, he earned seven All American Awards; and in 1979, he broke the National Collegiate Athletic Association (NCAA) Indoor HJ mark at 7 feet 5-3/8th inches. In 2012, his 1980 HJ of 2.27M remains second in UF's All-Time Best Top-Ten. As an entrepreneur, Pringle has worked in several aspects of the business world, and has served as CEO of JP Designs and Home Improvement, since 1978. He is a co-founder and executive officer of the University of Florida Track and Field Alumni Association (UFTFAA). While at UF, he performed various field events, including the 110 yard high hurdles, long jump, triple jump and high jump. However, coaches soon recognized his talent and potential for high jumping and encouraged him to focus on that single event. During his college years at the University of Florida, Pringle studied advertising, art and history; and he worked at the Athletic Attic National Head Quarters in Gainesville, Florida. After the 1980 Olympics in Moscow Russia—which the United States boycotted—Pringle competed in Cuba in association with Olympic Coach Jimmy Carnes. Sponsored by Adidas, his competition tour included Budapest Hungary; London England; Nice France; and Pisa Italy. Pringle continued to compete until after the 1984 USA Olympic Trials, in Los Angeles California. In order to have access to a training facility, he lived in Atlanta Georgia where he coached the high jumpers at the Georgia Institute of Technology, until he retired from his jumping career, in 1987. I have a home in Gainesville that was built in the ?60s with the original bathrooms, doors, baseboards, and floors. They were in awful condition. We bought the home in 2002 for our son and daughter to live in while that attended the University of Florida. We knew we needed major renovations and were doing one item per year such as an air conditioning unit, a renovated kitchen, and new windows. However, the remaining items all needed to be done as our son and his new wife are in doctoral programs and are expecting a baby. We did not believe we would ever be able to afford the remaining items. James Pringle renovated the bathrooms, doors, baseboards and floors. The bathrooms were in such terrible condition that the wood holding the tile on the walls had rotted. He replaced the wood and did an expert job on the tiles. He put down porcelain tiles throughout the house, and they look great. He also replaced all the interior doors and baseboards. HE DID A WONDERFUL JOB! James is very professional and is so very easy to work with. This was important as I live in Tampa, and he worked with me long distance. If I need additional items renovated, he will be my first choice. JAMES PRINGLE HAS BEEN PROVIDING HOME IMPROVEMENT SERVICES SINCE 1978. 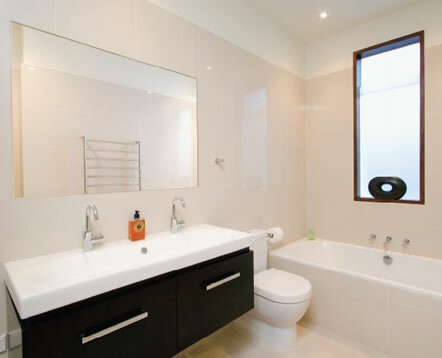 WE SPECIALIZE IN BATHROOM REMODELS AND KITCHENS. WE ALSO PROVIDE PAINTING,TILE, WALLPAPER, AND MANY OTHER SERVICES. PLEASE VISIT OUR CONTACT PAGE AND DROP US A LINE TO SEE HOW JAMES PRINGLE OF JP DESIGNS CAN HELP YOU.